Charles Lindbergh knew he could not make barnstorming a permanent career. He longed to be able to fly stronger, faster, newer airplanes. With that knowledge, he enrolled in the Army’s flight school, which gave him the training he needed to pursue a career in aviation. While barnstorming in southern Minnesota, Lindbergh met a graduate of the Army Flying School who told him that cadets flew the most modern and powerful airplanes. Lindbergh enrolled right away. 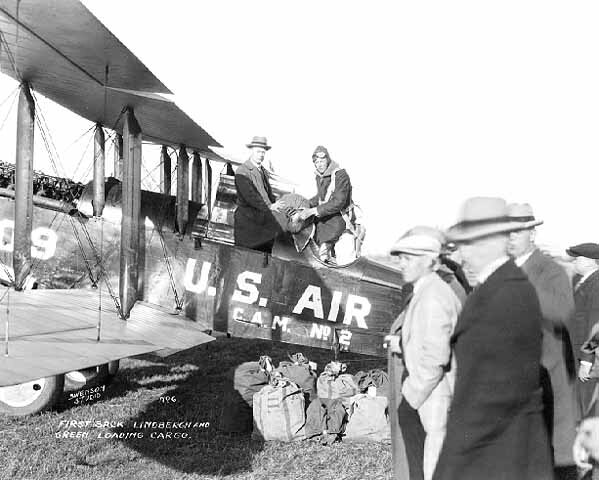 He arrived at Brooks Field in San Antonio, Texas, on March 15, 1924. Lindbergh was joined by 103 other young men. The cadets learned the essentials of aerodynamics, navigation, meteorology, and military law. 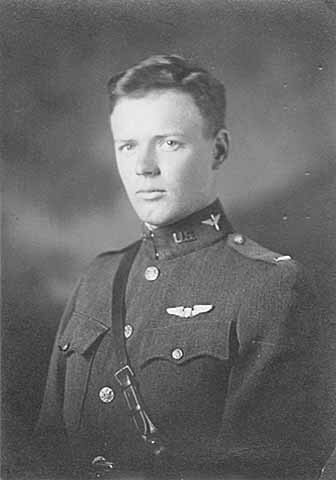 Already a skilled pilot, military training taught Lindbergh precision flying techniques. In his first year, Lindbergh earned a 93.39 average, the second highest in his class. But the training was tough. Only 32 cadets advanced to the next term held at nearby Kelley Field. The cadets trained in pursuit, attack, observation and bombardment. In one instance, Lindbergh was forced to parachute to safety when his plane collided with another while practicing formations. On March 14, 1925, only 19 flying cadets graduated. This time, Lindbergh finished first in his class. Lt. Charles A. Lindbergh. Source: MNHS Collections. Following graduation, Lindbergh went to Lambert Field in St. Louis, Missouri, to find a job in aviation. Shortly after arriving, he accepted a job with the Robertson Aircraft Corporation as chief pilot for the soon-to-be awarded St. Louis-Chicago airmail route. While waiting for that contract, Lindbergh flew at Lambert Field. He tested a new commercial four-passenger plane, an OXX-6 Plywood Special; when the controls malfunctioned and he was forced once again to jump to safety with his parachute. As a result, he became the first man saved twice by a parachute. In October 1925, Robertson Aircraft Corporation was awarded the St. Louis-Chicago contract. Service was to begin in spring. Lindbergh spent the winter preparing his flight path, while the company readied their five mail planes, Army-salvage De Havilland DH-4 observation planes with 400 h.p. Liberty engines. Knowing that these planes had earned the nickname "flaming coffins," Lindbergh insisted that each pilot be equipped with a new seat-type silk parachute, with no penalty if used. On April 15, 1926, Robertson Aircraft inaugurated its airmail route with a formal ceremony before 200 citizens and a crowd of cameras. But the public was slow to adopt this new service, in part because airplane travel was still very dangerous and in part because of the additional cost for airmail. Robertson Aircraft survived for months with subsidies provided by St. Louis banks, which considered airmail an investment in the future of aviation. The danger of delivering airmail was high. Many routes, like the St. Louis-Chicago route, took pilots through quick changing weather. Twice more Lindbergh was forced to jump from his plane, each time being saved by his parachute. Despite the challenges, Lindbergh and his team completed more than 98 percent of their scheduled flights, at a time when one out of every six airmail pilots was killed on the job. 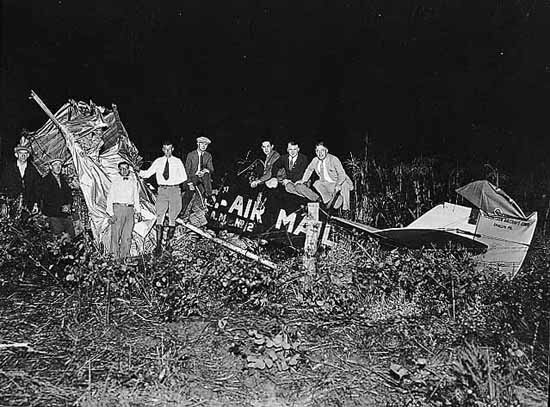 Crash of a mail plane piloted by Charles Lindbergh. Source: MNHS Collections. First US Air Mail service from St. Louis to Chicago, Charles Lindbergh Jr. one of the pilots. Source: MNHS Collections.